GIRLFRIEND by Matthew Sweet is his commercial and artistic breakthrough and a power pop masterpiece originally released in 1991. 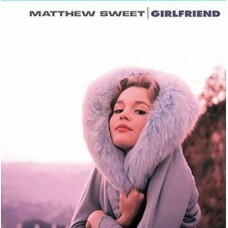 GIRLFRIEND is full of haunting, heartbreak songs fueled by Matthew's divorce and it features guitar contributions by Robert Quine, Richard Lloyd and Lloyd Cole. from the album cover of a young Tuesday Weld, to the killer songs filling the album, this is one of the best releases of the 1990s and a certified classic. Long out of print on vinyl, our 180 gram reissue features a new back cover and a four color double sided insert never previously available.